I haven't opened up one of these 12/13 Black Diamond blasters in a while. Black Diamond is not one of my favorite products to get, but the price was right. I'll also open up a pack of Full Force in the video. The Full Force pack was a little extra gift from DaCardWorld when I ordered from them online. Black Diamond is notorious for really not giving you much out of a blaster. Usually there's a Rookie Gem in there, but I've gotten some where it didn't even have one of those. Quad and triple diamonds can be found as well, but sometimes you're just left with a double diamond or two. Rarely is there ever a blaster with only single diamonds in it. If that were the case I'd be so mad! Though hits are hard to come by in Black Diamond, they are not impossible. In fact, there have been some hits to come out of Black Diamond blasters in my Retail Review series. Usually the hit will be a jersey card of some kind, but autographs can be found as well in rare instances. I'll start by talking about the Full Force pack. In one pack you really can't expect much, and Full Force wasn't a product that was chock full of hits. That being said, I was glad to at least pull an insert card out of it. Full Force is not a memorable set and I would be hard pressed to say anything about it nowadays. It's probably a good time to re-visit my old review of it. 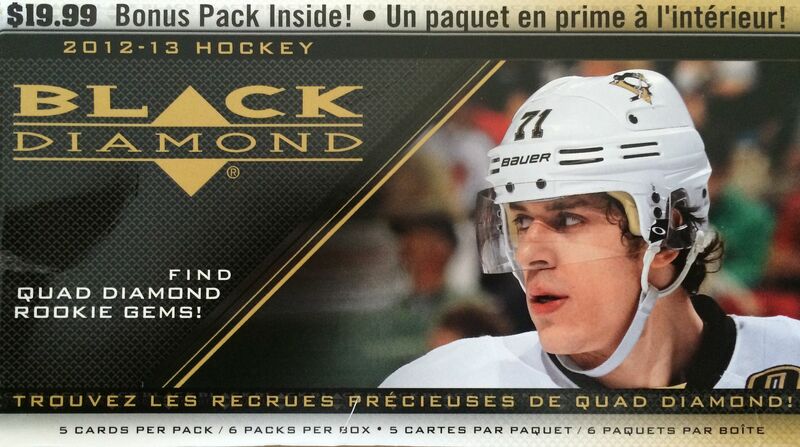 In terms of the Black Diamond blaster, I'd say this was a pretty typical break of the product. I was able to pull a triple diamond Rookie Gem, but my only other cards of significance were two double diamonds. There were superstar cards I found like Gretzky, Lemieux, and Ovechkin, but those were all in the single diamond category. Getting double diamond cards isn't the most exciting prospect as the players in double diamond status in 12/13 tended to be guys who weren't huge hobby stars - rather local stars. 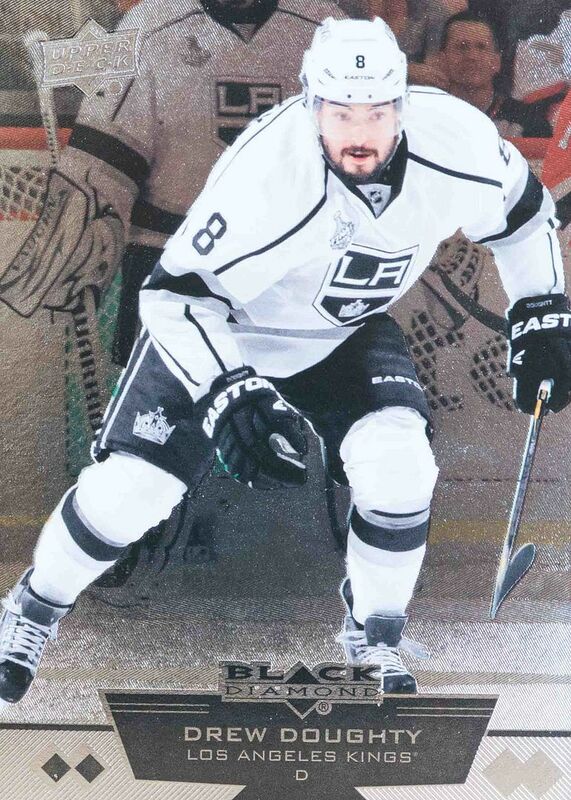 Doughty is a pretty big name defenseman, but I would be hesitant to say he is a superstar that all collectors would enjoy finding in packs. 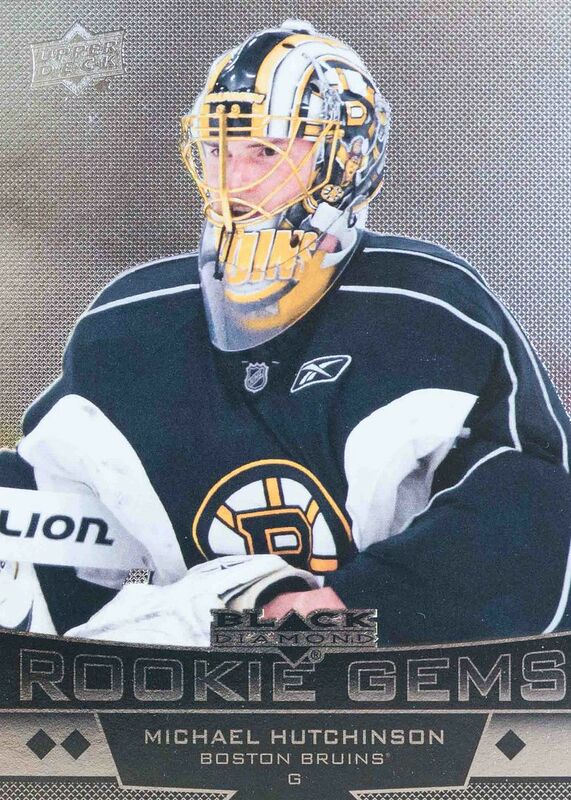 The Rookie Gem cards back in 12/13 weren't the best looking. I find it odd that triple diamond cards were spread unevenly across the bottom of the card. That design choice just throws the card off in terms of how it looks. But I'm still glad my blaster came with a Rookie Gem. I'm always sad when they are missing from the box. I've stated this before, but I like it when the older players get featured on modern products. 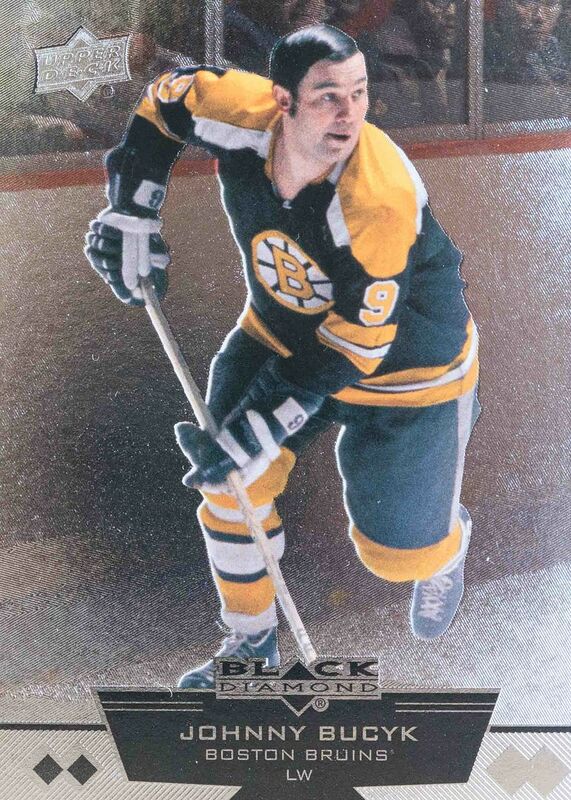 It's especially cool when the older player photos are on new card technologies like Black Diamond. The contrast is fun to look at, and that's why I put this Johnny Bucyk card as my top choice this week. This blaster is about what you can expect when you open up 12/13 Black Diamond. The cards look pretty nice, but you won't find anything that will give you too much bang for your buck. If you enjoy the look of Black Diamond, finding it for under $9 a blaster would be an ok buy I'd say.